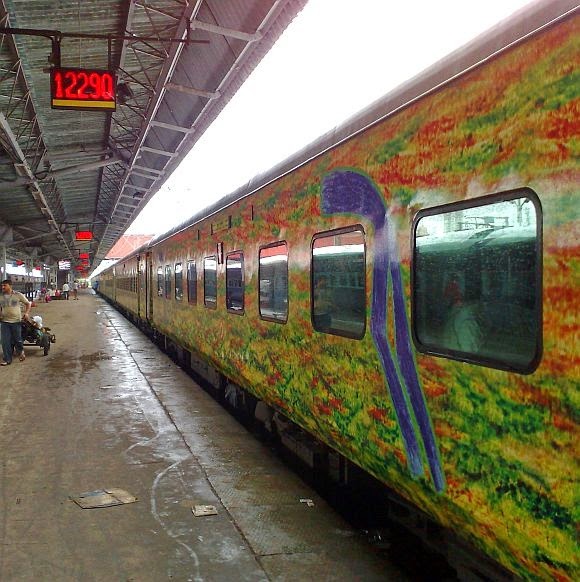 At present, Indian Railways is running premium special trains on 21 popular routes. Further the following additional premium special trains have been planned to run on seven new routes. These additional premium special trains have been planned to meet the Christmas rush as well as to fill the void created by the recent cancellation/reduction in flights. The 1839 Km. long Eastern Dedicated Freight Corridor (DFC) Project from Ludhiana in Punjab to Dankuni in West Bengal has been sanctioned and implementation taken up. This Corridor is being developed to augment the rail transport capacity to meet the growing requirement of movement of freight traffic on the route. The Eastern DFC (excluding Sonnagar-Dankuni Section) is likely to be commissioned by 2019. Civil construction works of Khurja-Kanpur Section (343 km.) of Eastern DFC have commenced and approximately 25% of work has been completed. Works on 122 km. Mughalsarai-Sonnagar Section of Eastern DFC are also progressing well. A total of 3861 hectare of land out of 5550 hectare required for the Project have been notified for land acquisition under Section 20 F of the Railway Amendment Act 2008. Instructions have been issued by the Railway Board to all Zonal Railways to install Closed Circuit Television (CCTVs) at identified major computerized Passenger Reservation System (PRS) centers to keep a watch on the activities at reservation counters. At Present approximately 229 CCTVs have been installed at various PRS locations on Indian Railways. State-wise details of CCTVs installed are not maintained. However, on East Coast Railway and South Eastern Railway, which serve the State of Odisha, Closed Circuit Television Cameras have been installed at two locations and eight locations respectively. Instructions have been issued to zonal Railways to monitor the footage of CCTV cameras on a regular basis and also on a daily basis during peak rush periods by staff concerned designated specifically for this purpose. Reports of the CCTV footage are required to be submitted to nominated officer for taking necessary remedial action. In case any irregularity is noticed, immediate remedial action is taken. Touts detected indulging in malpractices are taken up under the extant provisions of Railways Act 1989. Indian Railway Catering and Tourism Corporation (IRCTC), a public sector undertaking of Ministry of Railways, have operated seven Pilgrim special tourist trains from 25.10.2014 to 19.12.2014 and further three trains are planned till 12.1.2015. IRCTC plans to continue operating these trains in 2015-16. New pilgrim destinations covered are Bijapur, Solapur, Badami, Melmaruvathur, Vaitheeswarankoil, Thiruvenkadu, Keelaperumpallam, Thirunallar, Alangudi, Surianarkoil, Kanjanur, Thirunageshwaram, Thingalur, Parasnath, St. Francis Xavier (Old Goa), Mecca Masjid (Hyderabd), Nanded Sahib, Nanak Jhira Gurudwara, Sri Patna Sahib, Kanchipuram etc. Indian Railways promotes tourism by providing connectivity through trains to tourist destinations across the country. In addition, exclusive tourist trains/packages are also operated. Promotion of tourism by linking tourist places with tourist trains is a continuous process based on market demand, operational feasibility and availability of resources. Pilgrim special tourist trains were announced in Railway Budget 2014-15 with the purpose of connecting various pilgrim destinations across India. 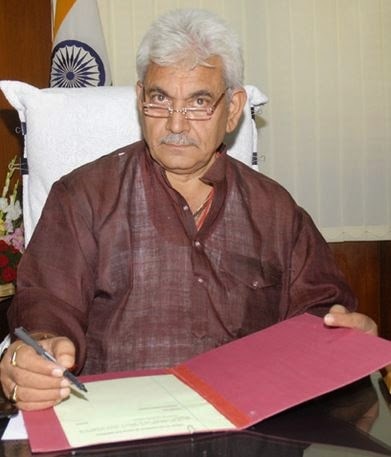 This information was given by the Minister of State for Railways Shri Manoj Sinha in written reply to a question in Rajya Sabha today. Indian Railway has plans to convert Diesel Electric Multiple Units (DEMUs) and diesel locomotives to dual fuel mode (natural gas and diesel). Contracts for conversion of 50 Driving Power Cars (DPCs) of DEMUs to dual fuel mode have been awarded. Presently, four DPCs are running on dual fuel with CNG and more Driving Power cars (DPCs) are under conversion. CNG is restricted to DEMUs and not extended to mail/express trains. In comparison to diesel engine DEMUs, a saving of 6% has been realised by use of CNG engines in dual fuel mode but there is no saving in comparison to electrical engines. As on date, there are 362 major ongoing projects consisting of 154 new lines, 42 gauge conversion and 166 doubling projects in various stages of execution in the country. Indian Railways have a huge throwforward of ongoing projects and limited overall availability of funds. Therefore, it is not possible to allocate adequate funds to these projects on a regular basis which is a pre-requisite to fix time lines. The other reasons are (i) delays in land acquisition, environment, forestry and wild life clearances (ii) adverse law & order condition and other market forces (iii) failure of contracts etc. Two railway stations, Baiyyappanahalli (Bengaluru) and Bhubaneswar/New Bhubaneswar are identified for undertaking prefeasibility studies by the Chinese Railways at their cost under a Memorandum of Understanding dated 18.9.2014. The development is envisaged at no cost to Railways by leveraging land and air space in and around the stations. Train operations would remain with the Railways and only identified services would be provided and managed by private agencies. Moreover, while the stations are planned to be equipped with modern facilities and amenities, these would cater to all classes of passengers. It was announced in Railway Budget 2014-15, to develop at least 10 major stations of Metro Cities and important junctions to international standards on the lines of newly developed airports. Six stations, viz., Habibganj(Bhopal), Chandigarh, Bijwasan(New Delhi), Shivaji Nagar(Pune), Anand Vihar(Delhi) and Surat are entrusted to Indian Railway Stations Development Corporation Ltd.(IRSDC). Gandhinagar station has also been taken up by Rail Land Development Authority (RLDA). Rail Land Development Authority (RLDA) of Indian Railways has been set up for commercial development of vacant railway land which is not required by Railways for its immediate future operational need. 102 sites measuring 916 hectare of Railway land has been entrusted to Rail Land Development Authority (RLDA) for commercial development.